This weekend we went to visit my family in Minnesota. There is a whole lot of water out there this year – the rivers are swollen, the ditches are running, and fields are flooded. I even saw people fishing in the ditches – when that happens, you know there’s been a lot of water this year! The frogs were extremely noisy while we were there. So we had to go on a frog hunt! We only managed to catch one (quick little buggers!) and he quickly escaped. But since then Curly’s constantly asking to go catch frogs. Here is a picture of our frog expedition! 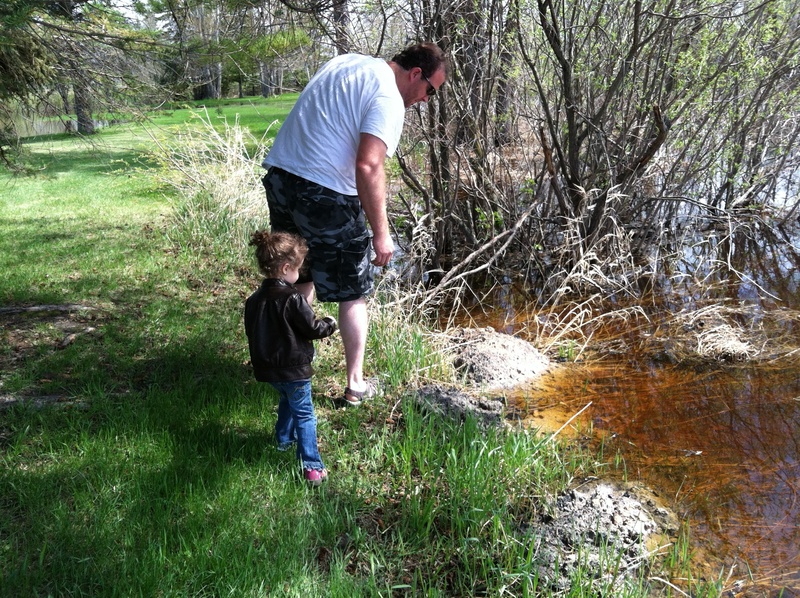 I had to ask Daddy to help with the frog catching – I saw so many and failed every time to actually get one!